Filmed and dramatized entirely on authentic locations of the Holy Land and the Middle East, this is the most elaborate and extensive film ever made on the Last Supper. Jesus met with his twelve disciples in the "upper room" in Jerum, where they shared that historic meal. It was the traditional Jewish Passover "Seder" meal, which to this day symbolizes the deliverance from slavery to freedom and is commemorated for the last supper the ancient Hebrews shared before leaving Egypt, on their long journey to the Promised Land. 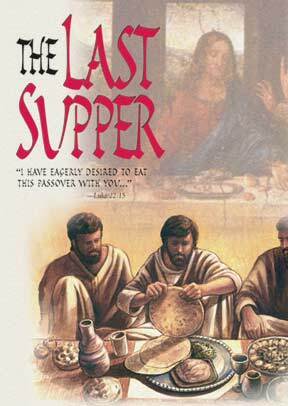 The Last Supper emphasizes both its Christian tradition and Jewish roots. In addition to the authoritative historical and cultural background, the program explores the recipes of the exotic Biblical courses served at the supper: bread, salads, herbs, olive dish, lamb, wine, fruit, and all other magnificent courses. A recipe booklet with authentic Biblical recipes for the meal is included in PDF format.